Mobinnet, Iran’s countries only national broadband operator, has started the pilot phase of its TD-LTE deployment. Come and hear more from Ali Tahmasebi, its Transmission Senior Manager, who is speaking on how Mobinnet is handling the coming data explosion on Day Two of the 10th annual LTE World Summit, taking place on the 23rd-26th June 2014, at the Amsterdam RAI, Netherlands. Please give us an overview of what stage your LTE deployment is at? Mobinnet Telecom Co. (MTC) is the only nationwide wireless broadband (4G-WiMAX) operator in the country with services ranging from broadband internet access, VoIP, and VPN. The company is the largest WiMAX Operator in the Middle East. While we at Mobinnet are planning to upgrade the network to new technology, at the same time we are expanding the existing network to cover new locations and add new capacity to congested areas. Regarding the future broadband experience for Mobinnet’s customers, a peer review of subscriber demand and an analysis of global deployment of LTE led us to select TD-LTE technology. We have finalised all the technical considerations for both LTE and the EPC domain. Most of the jobs in the network planning domain is done and we have started the pilot phase. Ali Tahmasebi, head of IP transmission manager, Mobinnet, Iran, is speaking on Day Two of the LTE Backhaul Summit, collocated with the LTE World Summit 2013, taking place on the 24th-26th June at the 24th-26th June 2013, at the Amsterdam RAI, Netherlands. Ahead of the show we delve into details over backhaul technology choices and find out what he is looking forward at the LTE Backhaul Summit. What challenges will the move to LTE have on your backhaul strategy? Our main strategy to make our backhaul LTE-ready is to have a hierarchical structure with access, hub and metro levels. In this regard, the rollout of the network is very clear and straightforward. Nevertheless, it does raise a number of challenges, such as the number of metro and hub sites per city, and leasing and building those sites in a technically coordination fashion. The major challenges are technical. The final decision on RAN strategy and use of either LTE-TDD or LTE-FDD has a direct impact on backhaul product type and features. Planning an optimum synchronisation strategy to handle 1588v2, defining the advanced QoS and traffic engineering features to handle congestion, end-to-end IPv6 network deployment, interoperability between different backhaul products and backhaul to core connection topology are the main challenges. Is fibre always the preferred solution over microwave backhaul? As a fibre optic connection can handle a huge amount of traffic on a long distance, without a negligible loss, it is very interesting for backhaul scenarios. However, deploying a ubiquitous fibre network is a time and cost consuming project and most of the time is out of a mobile network operators’ scope. Most of the fibre optic networks belong to companies that are not MNOs, so it is not cost efficient to lease fibre pass or leased BW for all the sites. The traffic of an LTE site with normal configuration is around 100-300Mbps. Todays, it is easy to handle this amount of traffic with MW radios from different vendors. As a broadband backhaul deployment scenario, the connections at metro level could be based on fibre optic rings, in hub level on high capacity nodal MW radio links and in access level they would be based on P2P MW radio links. Some analysts say that the dedicated backhaul required for small cells could destroy the economic benefits that they might bring in terms of offload. What’s your view? I don’t believe any dedicated backhaul is required for small cells. Full outdoor E-band MW radios are the best choice to handle the traffic. The main point is to offload Internet traffic directly to Internet without passing through the mobile operator’s core network. However, the charging and pricing method here is a challenge. What is the most exciting development in LTE that you expect in the next 12 months? From my personal point of view, the most exciting developments will be the move towards LTE-Advanced, standardization and releasing the new frequency bands, VoLTE improvements, small cells concept improvements and IMS deployments at the core of mobile networks. Why is the LTE World Summit such an important show for you to attend? This year, the LTE World Summit 2013, has been co-located with the LTE Backhaul Summit. Referring back to our experience at the LTE Asia 2012 and LTE MENA 2013, the event gives access to the leading LTE operators, vendors and opportunity to learn from the success stories of handling of data explosion, mobile broadband and LTE networks deployment. As the biggest LTE event in the world, I expect it to address operator challenges in data monetisation, OTT services, VoLTE and small cells. Ali Tahmasebi, IP Transmission Senior Manager, MobinNet is speaking on mobile broadband strategies on Day One of the LTE MENA conference, taking place on the 13th-14th May 2013 at the Jumeirah Beach Hotel, Dubai, UAE. Ahead of the show he tells us more about the pressures on networks and how LTE is helping operators deal with the traffic growth. Most markets have seen exponential data traffic growth. What are the patterns you are seeing in your region? The mobile broadband networks in the region have continued to explode and traffic has increased exponentially. This increase has been related to an increasing number of broadband users and their demand for high-speed services due to a proliferation of end-user devices such as tablets. The enabling factor has been the broadband technologies that have evolved to address the exploding amount of data traffic. This has been through several means such as improved spectral efficiency and enhancements such as dual-carrier, MIMO and smart antennas that have increased the number of bits per second and Hertz, of which LTE is the most impressive example. As the Middle-East’s largest WiMax operator, here in MobinNet, the traffic pattern has increase exponentially as well. Fortunately the traffic-speed slope has increased a bit more than that of traffic volume. What steps can operators take to mitigate the effect of ‘chatty apps’ placing too much signaling pressure on a network? Today, mobile broadband is a foundation not only of how people work but how they live – they communicate in a mobile oriented world. As the many different types of smartphone are increasing daily, the impact of ‘chatty apps’ is becoming ever more evident. One of the way to resolve this to offload through wifi networks in order to route data traffic directly to the internet without passing through the mobile operator’s network. Considerations have to be made to address pricing and charging issues for this such as a flat/fixed monthly rate. What are the challenges around maintaining customer satisfaction under increasing pressure on the network? Customer satisfaction is a core concept and in a very competitive market it is one of the key areas of focus for mobile operators. The main parameters in this regard are users’ connection speeds, network performance and availability and pricing methods. Multiple access technology in the network, wifi offload, flexible quality of service (QoS) and policy based charging are the methods to deliver the desired service to the end users. Despite the growth and opportunity around data, will monetisation of LTE be difficult? I don’t believe it will be difficult; it is feasible. We have enough experience on mobile broadband networks such as 3G and WiMax and with its features such as flat architecture and spectral efficiency LTE has further decreased the overall cost for operators to deliver data. How are you going about predicting what is required in terms of network expansion over the next 2-5 years. Trends show mobile broadband traffic increasing at an exponential pattern in both traffic speed and traffic volume. From a technical and commercial point of view it is possible to calculate and predict the slope of the traffic growth curve for the next 2-3 years. The existing 3G networks will adopt with the latest HSPA+ release to enable users to enjoy high-speed services. Most operators are looking to trace in detail the success story of the big operators that have already deployed LTE. Wifi offload and roll-out more new sites play the main role during this transition time. In terms of backhaul the aim is to provide more flexibility in order to handle the surge of data traffic generated by HSPA+/ LTE networks. As such it is necessary to define a hierarchical topology including access, hub and metro sites. The backhaul dimensioning should be based on the theoretical peak data rate of access technologies and consider statistical multiplexing in aggregation nodes. As a deployment scenario, the main backbone connections and backhaul to backbone interfaces should be 10G ports. The backhaul will also depend on the location of the sites. 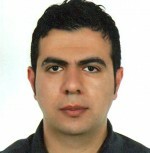 Shamim Nael is the Technical director of operations and maintenance at Mobinnet Iran. Shamim Nael, technical manager, Mobinnet, Iran is speaking on Day Two of the LTE MENA conference, taking place on the 13th-14th May 2013 at the Jumeirah Beach Hotel, Dubai, UAE. Ahead of the show we speak to him about the transition of Mobinnet from WiMAX to LTE and about his concerns regarding the development of the TDD eco-system. How are you managing the transition from WiMAX to TD-LTE? By carefully considering the future of our network growth, we ensured that we were future-proofed by buying equipment that supported LTE. We also designed the backbone to be powerful enough to meet the all the standards and features that are already being used in modern high-tech telecom environments. What are the chief technical challenges you expect to face over the next 12 months? One of the biggest challenges for us will be transitioning into an IPv6 world. Despite several committees working together on a conversion program (including Mobinnet), there is still no announcement from the regulatory organisation about how and when we’re moving over. Does it make sense to think of LTE as a fixed-line replacement in certain cases? I don’t think so. In my opinion fixed lines will not be replaced by radio technologies. History shows both fixed and mobile networks developing in parallel, supporting high-tech services with no harm to each other. I remember what happened when IP technology leaked into Telecom world and made a huge revolution on it. We need to keep in mind it’s not the first nor last time that some major technologies may cause remarkable changes in core systems. What do you consider to be the greatest benefits of the TD-LTE eco-system? What are the trade-offs between FD-LTE and TD-LTE? The main differences between them lie in their band type. FD-LTE requires paired spectrum with different uplink and downlink channels. TD-LTE uses unpaired spectrum, transmitting uplink and downlink assignments on the same channel. Thanks to the TD-specific frame structure, TD will typically have a smaller link budget than FD. This means that TD-LTE usually caters for smaller cells than FD-LTE. So it’s up to provider’s policies to choose whether use TD, FD or mixed of both in their network. In short, I believe TD-LTE offers more robust radio performance in city environments and also a simpler network implementation because of single-band operation. The LTE MENA conference is taking place on the 13th-14th May 2013 at the Jumeirah Beach Hotel, Dubai, UAE. Click here to find out more about the event.